The waterfalls are taller than the Niagara Falls, and twice as wide, and offer its visitors a myriad of spectacular sights. They are located in the Iguazú river, which is on the border between Argentina and Brazil, and are part of the Iguazú National Park (Argentina) and Iguaçu National Park (Brazil), both UNESCO World Heritage Sites. 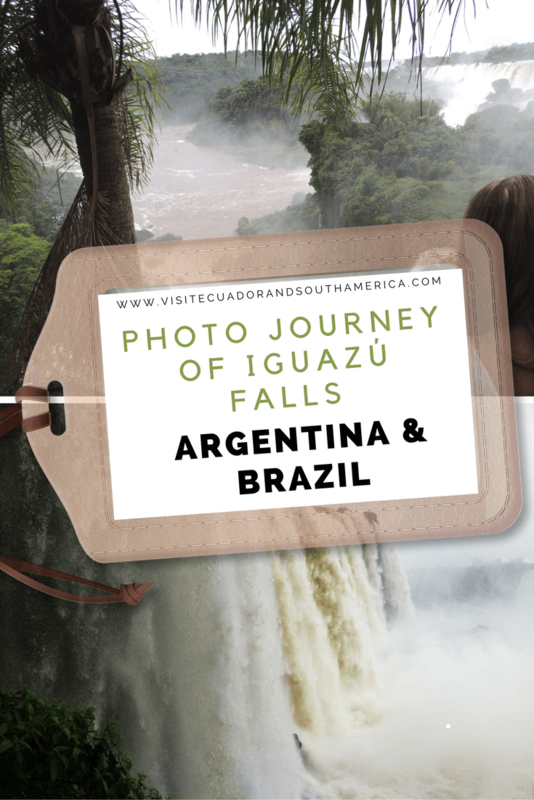 Spending the night in the cozy town of Puerto Iguazu was perfect, as it allowed us to spend one day at the Argentinian side of the falls and a second day on the Brazilian side. As for which side to visit, I think that both sides are worth visiting. You need a full day to do the Argentinian side and a half day would suffice for the Brazilian one. Take your time to walk along the hiking trails and take in all the views of the falls. I loved staying at Hotel Saint George in Puerto Iguazu in Argentina, the rooms are clean and spacious, the staff is friendly, the hotel provides transportation for free from the airport, and it has a lovely pool area that was perfect in the warm sunny days of my visit. 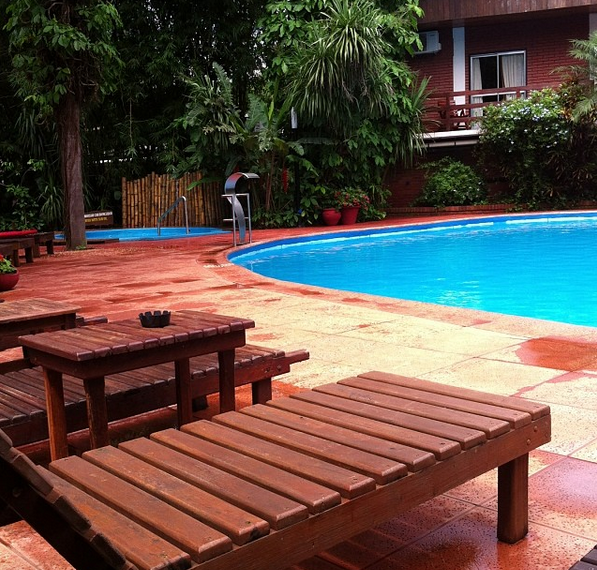 In addition, the hotel is located within walking distance to restaurants and stores in Puerto Iguazu. If you want to stay in the park and enjoy the waterfalls from your hotel, there are two very good options: Sheraton in Argentina and Hotel das Cataratas in Brazil. Otherwise take a look at some options of places to stay in Brazil at Foz do Iguaçu or as I did, you can find one of the many great options of places to stay at Puerto Iguazu in Argentina. Book a tour to the 2nd largest waterfall in the world from the Brazilian side. Here are some tour options for you. Booking a tour will ease communication barriers and avoid the hassles of planning and logistic. If you have a SLR camera with you to this trip, and want to protect your camera while getting some awesome pictures! Then I would recommend that you get the Professional Rain Cover for Large DSLR Cameras. If you are planning on visiting the Brazilian side and you are a US citizen, you need to have a Visa which you need to order before your trip, can´t be done on site. Looks Incredible! I get there in three weeks myself! Looks amazing. Ive always wanted to visit the Falls. Hope I get there soon!